again, many thanks for your great hospitality! 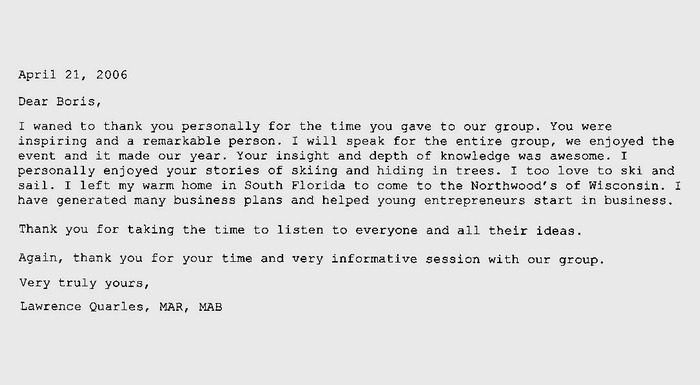 i really enjoyed it and i learned a lot about quality and that it is taken serious in your company and that's what counts and makes good products. i was really impressed by the very good organisation. your company has really the prospects to become one of the top 100 in the world, even though it is already one of the tops in the field of corrosion protection. i look forward to further prolific cooperation. A simple thank you hardly expresses my sincere appreciation for your generous efforts to bring the super Zagreb dancers to Duluth, MN, and the Twin Cities. 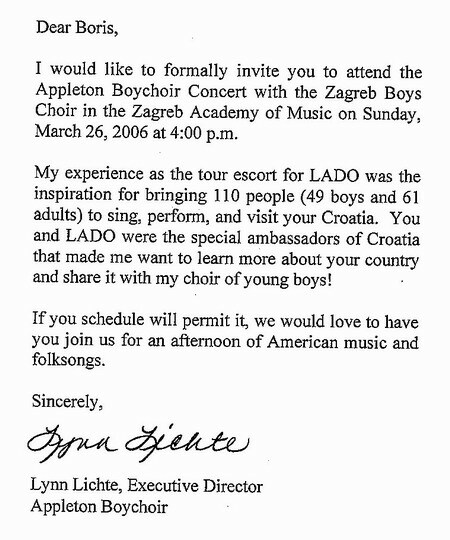 I have been to countless performances in our country and in Croatia. None can compare to this authentic group. Being a true Blooded Croatian I plan my tamburitza music at home and in my car. May God bless you and your family and once again - "Fala Lijepa"
I wanted to take a moment to thank you for sponsoring the Zagreb Folk Dance Ensemble performance at the Minnesota History Center on Friday evening, October 14, 2005. I am one of the Ethnic Dance Theatre performers that was in attendance at the performance and I must tell you, it BLEW ME AWAY! What an amazing group of artists! I am truly inspired and can understand your passion & pride for the Croatian heritage the group displayed. BRAVO for your support of the troupe and thank you so much for sharing them with the rest of us. Mr. Boris, You are a real fighter...A person with a "Never say Die Attitude". I salute you & wish you all the best ! I'd like to thank you for this opportunity to communicate to you in regards to your political aspirations in Croatia, for Croatians and its future. My reason for this email, is to show my support for your new Croatia. I am a Croatian, born of Croatian parents, born, and brought up in Australia. Though i have been brought up in the Australian culture and its aspirations, my parents always made it known to me that i am Croatian. That is why i care for it's future, and hopefully in the very near future, i too will be able to live in our homeland. I, with my family, have visited Croatia a number of times since 1991, but in the new decade, i have already been to Croatia already 3 times, and plan to be there in the near future. As circumstances have it, my father is buried in Zagreb. I have completed a undergraduate degree majoring in Chemistry and Physics and a Masters degree in Chemistry , specializing in Solid phase micro-extraction. Since the death of my father 3 years ago, i have been managing the family transport business, LIKA transport, of which i am very proud of. I feel with my knowledge i have plenty to offer our beautiful homeland. I would be grateful for any advice our opinion that you could offer me, on how to achieve my Australski San! I recently read you book. I found it very interesting and can see where it certainly can be an inspiration to anyone that reads it and can understand dreams, ambitions and hard work. I guess I found it especially interesting because my grandparents (Gornik) were form Yugoslavia/Slovenia; and I grew up on the Iron Range (specifically Ely – (you mentioned Jessica Dusich). I share your love and respect for Rudy (may he rest in peace) and Lola. You book mafe me smile with pride – and I know you have made wonderful contribution to the world as a whole, and I am sure have touched and influenced many lives. As additional background, I just got back from a long weekend in Ely where all the cousins went up to make sausage….quite a “happening”…a garage full of people, peeling, grinding, mixing….using an old wood burning stove/oven….something my dad did as a child with his folks and now we kids have taken over and passing down the next generation … we make it once a year – blood and potato! Ymmmmm! Please accept our congratulations on how well you did in the recent Croatian presidential elections. As a newcomer and to many an “outsider” you managed to overcome a media blockade, attempts by your opponents to discredit you and high apathy of votes. We are disappointed that you did not win and that the Diaspora was not as supportive as we would have hoped. But is was an honor and privilege to work for you here in Southern Ontario. You had many supporters, unfortunately poor weather on the day of elections and lack of organization on the consulates part deterred many. 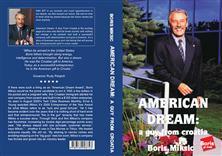 We re heartbroken that you did not win as Croatia is in deed headeddown a very uncertain political and economic path. We hope that you will remain active in Croatia. If you should need further support or assistance we would be thrilled to help you. P.S. at times we felt you were like this Atlas figure with so much pressure on you. 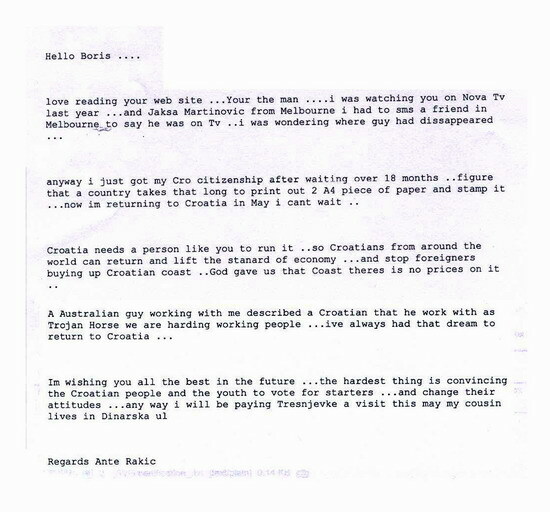 Dear Boris, Congratulations on your perseverance; I also think as you do that you owe it to all Croats who voted for you and who placed confidence into your professional, honest, well structured plans for better Croatia. Borise, You are # 1 Your ideas are what Hrvatska needs! Boris, you've made everyone who has ever had the privilege of meeting you proud! A man of the highest integrity, with an iron will, and deep compassion for others. What a wonderful leader you are going to make!